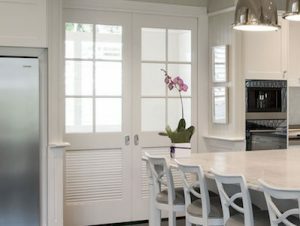 At Eden Made all of our timber doors are custom made to order. 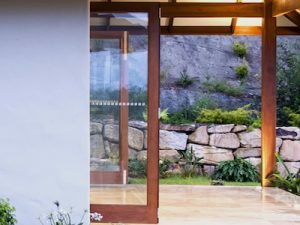 Nothing says you’ve arrived more than a stunning entry door and nothing says wow more than doors that disappear so your home becomes one with your garden or puts you right in the view. This notion is as inspiring to our staff as it is to clients who often regard their doors as the pièce de résistance of their homes. We relish the opportunity to work with clients on what is for many a profound expression of their style and creativity. 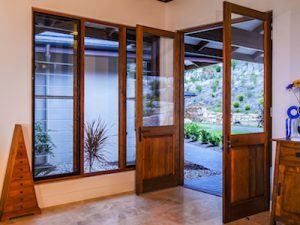 In particular, the clever use of contemporary doors styles at the rear of your home is the key to creating your own piece of Eden. 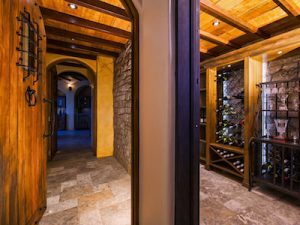 Because of our custom approach when it comes to doors, the door is wide open. 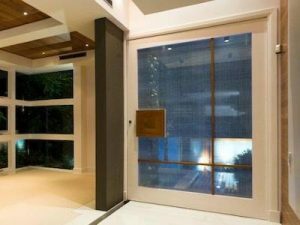 We also can supply wood-framed screen doors. Our most common selection of doors includes the following. 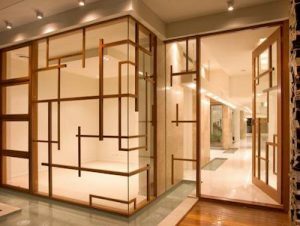 Of late we’ve noticed more of a trend towards minimalist, large-panel installations, some with unusual timber fretwork. 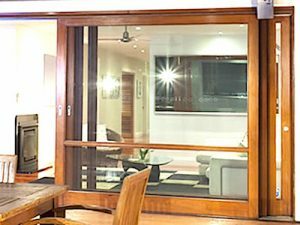 Australian NATA (National Association of Testing Authorities) approved laboratory (1764) tests confirmed that Eden Made doors far exceed Industry standards and comply with the highest performance ratings for doors in housing in Australia. The Eden Made system is fully certified to AS 2047-99. The table below summarises NATA test results. These results indicate that Eden Made doors are able to withstand cyclonic wind borne rain at 293 km/h. 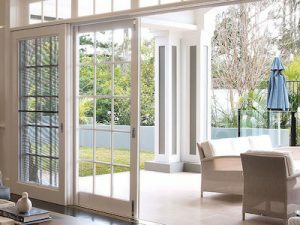 With the building industry and governments committed to greenhouse gas reduction, and an increasing emphasis on energy efficient building products, Eden Made doors have a five star energy rating. We are focused on meeting the highest standards. Eden Made uses a system of weather seals that have been specially designed Into the product between all moving surfaces. This technique eliminates air and water infiltration and dramatically reduces the transfer of noise and heat energy. Timber is a natural insulator and the most environmentally sensitive choice you can make. Our timber is sourced from sustainable forests. 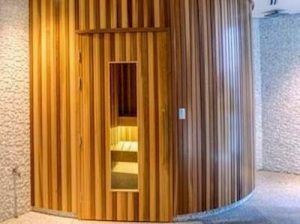 As well, we use specially designed timber componentry to reduce energy transfer while increasing the strength and durability of our products. More details on our timbers and practices can be found here. 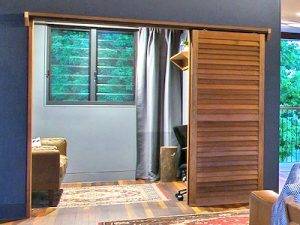 Our quality, performance, customisation, and environmental record, together with our commitment to creating beautiful timber designs, mean with Eden Made your doors will long be the entrance to your very own piece of Eden.